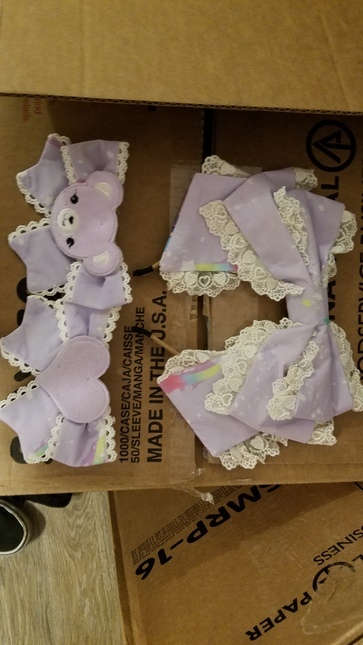 Infanta's Lavender Sleeping Bear headbows and clips. Shipping is $13.43 for 2 days. $8 for 1-2wks.